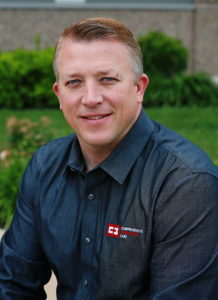 We are fortunate to have the one and only Physician Assistant with the title of ImPACT© CIC (Credentialed IMPACT© Consultant) in the entire state of Kansas! Tim Kalkman PA-C achieved this certification by attending the CIC conference in Pittsburg, Pennsylvania in 2015. He then came home to sit for the certification test in adult and pediatric ImPACT© testing. Through this course, he learned techniques on how to diagnose the 6 different trajectories of concussion from the creators of ImPACT© test themselves! He also learned a very concussion-specific physical examination technique that when combined with the ImPACT© test gives the patient a very specific diagnosis. He has been putting these tools to use at Comprehensive Concussion Care, P.A. for the past 18 months and we are proud to have him on our team! Tim received his Bachelor of Science from Baker University in Kansas, then went on to obtain a Masters of Sports Science at the United States Sports Academy in Alabama. After working as an athletic trainer for 3 years, he went on to earn a Master’s in Physician Assistant Studies at Missouri State University. 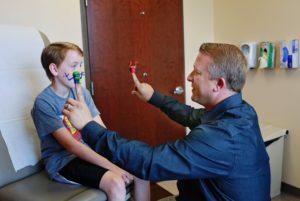 He worked in emergency medicine for many years and felt that there was a need for outpatient concussion treatment that was not available to southern Johnson County. As a founding member of the clinic, he makes sure each patient has a complete understanding of his/her diagnosis and a clear plan of treatment. His passion is educating anyone who will listen on the new diagnostic tools and treatment techniques for concussion management. He is a lifetime learner and constantly bringing new ideas and tests to his patients. He always strives to give the most comprehensive care to his patients, making sure they are safely returning to their sport, job, or active lifestyle. Happy National PA Week, Tim Kalkman PA-C!